It’s time to talk about a special stay again. Today I’ll tell you everything about the wonderful Camp Bay Lodge in Honduras. 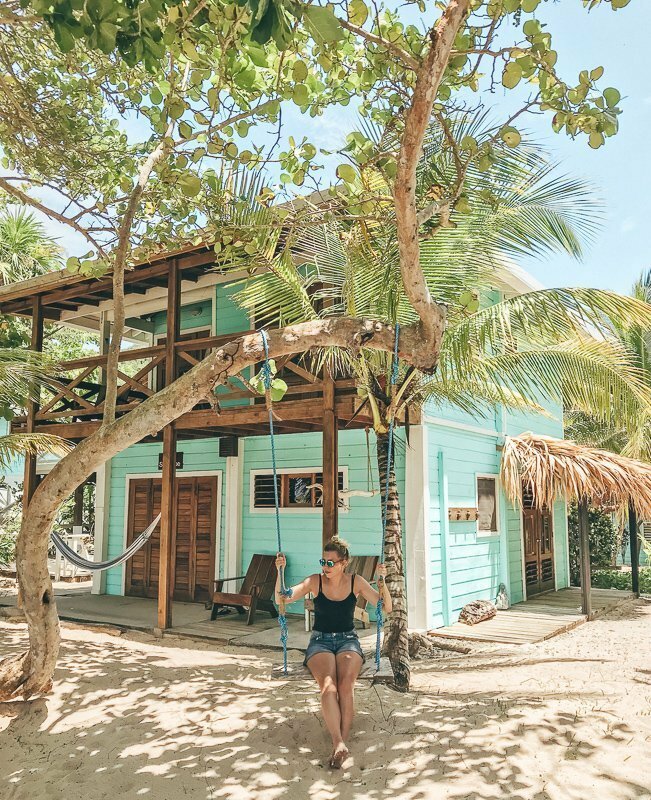 This peaceful stay is located on the popular island Roatan and because this island is so touristy, it was hard to find a stay that wasn’t full of party backpackers and which had an amazing location. Until I found the Camp Bay Lodge, located on the east side of the island. 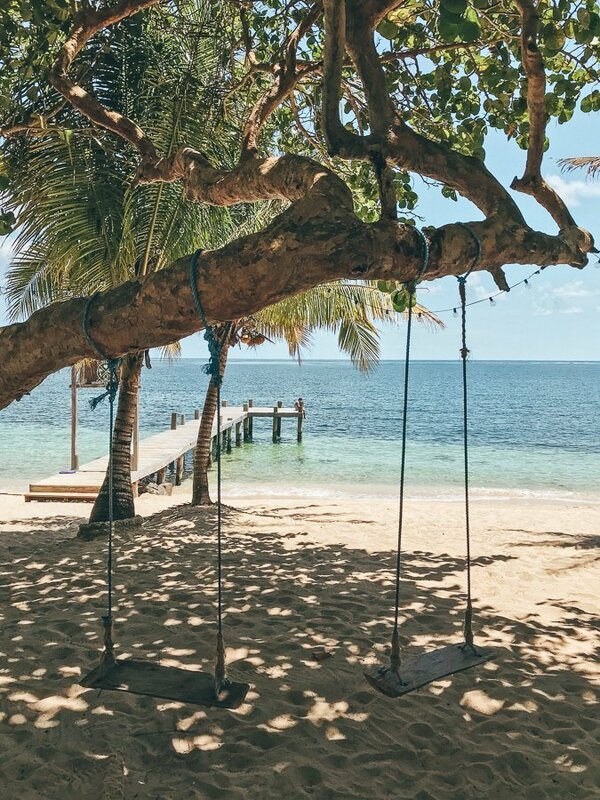 The east and the west of Roatan are só different that you can’t even compare those sides. About 98% of the hotels and hostels are located on the west side, because that’s where all the backpackers going. 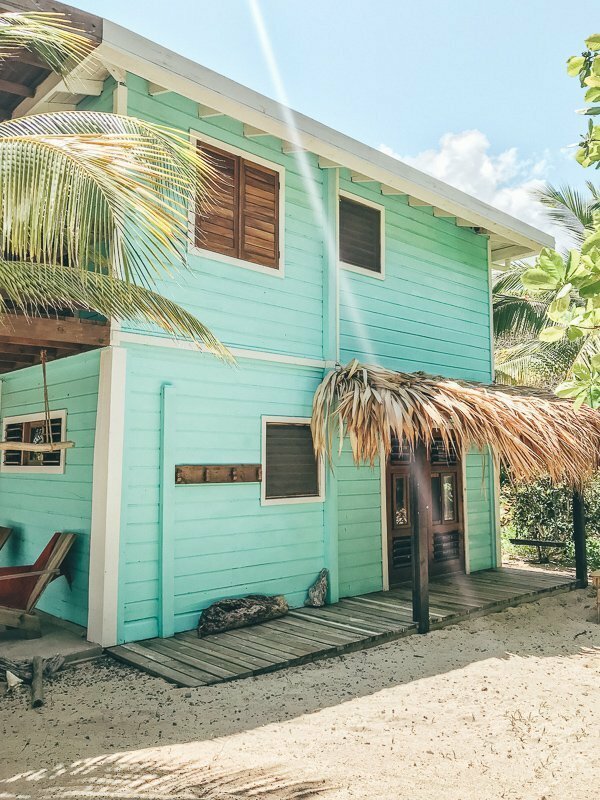 This lodge is located on the other side of the island, so it’s a totally different world. Because the road to the lodge is unpaved and because not many tourists are going here, some taxi drivers didn’t even want to bring us there. The one taxi driver that wanted to bring us, said that he hadn’t been to the east for years. And that’s exactly where we were looking for: off the beaten track, hard to find and away from all the tourists. The Camp Bay Lodge is for everyone who wants to relax. That’s why you can do a lot of yoga over here and get a lovely massage. You can find some texts like ‘for a mindful stay’ at different locations within the lodge. But besides relaxing, most people are coming here to kitesurf. This is the spot to be to get on your board and have fun on the water. You can get some kitesurf lessons, but you can also bring your own stuff and do whatever you like to do. That’s why the vibe is so relaxed and only people who want to chill are staying here. Are you a kitesurf fan or a yogi? This is the right place for you. But it doesn’t matter if you’re not. I’m not and I had a great time for two nights. The lodge is established by an European couple (German and French) who came here five years ago to start a kitesurf school. Kitesurfing if very important to them and this is the most popular activity within the lodge. Three years later they decided to start the lodge, so they refurbished all the existing buildings. And they do have good taste: everything looks cute and beautiful. 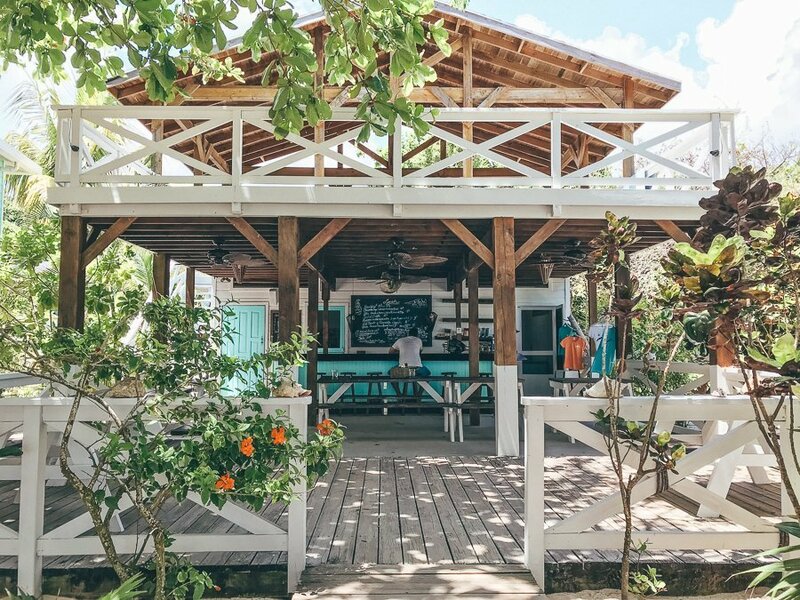 The cabanas, which are all located right on the beach, have a blue-green color and you can also find this color in the details, like towels, signs and the bar. The eating area is a fun place to hang out with others and drink a beer. But the front yard is what will attract your attention. 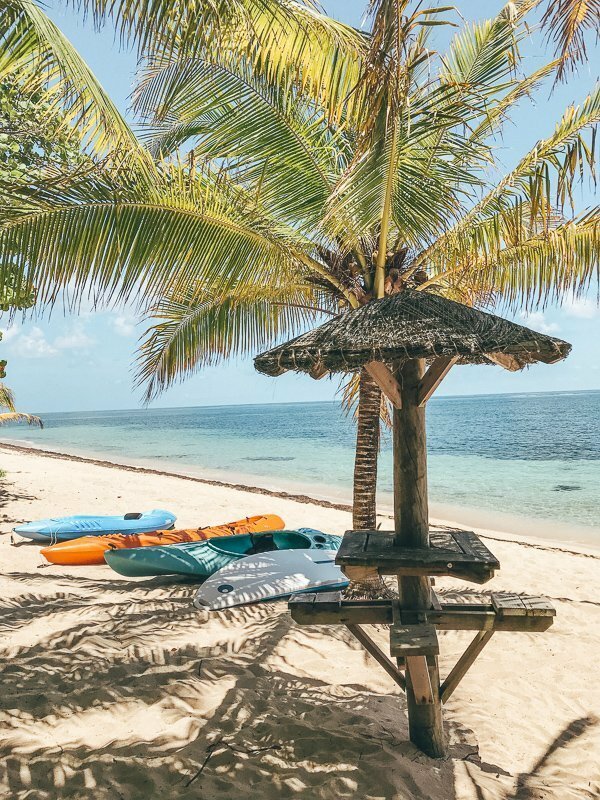 Palm trees, a sandy beach, hammocks, sunbeds, swings and a warm sea: it’s all there for you. Perfect, right? You can choose to stay in an apartment or in a bungalow, but they have more bungalows. You always have your own terrace with some chairs and a swing or a hammock. 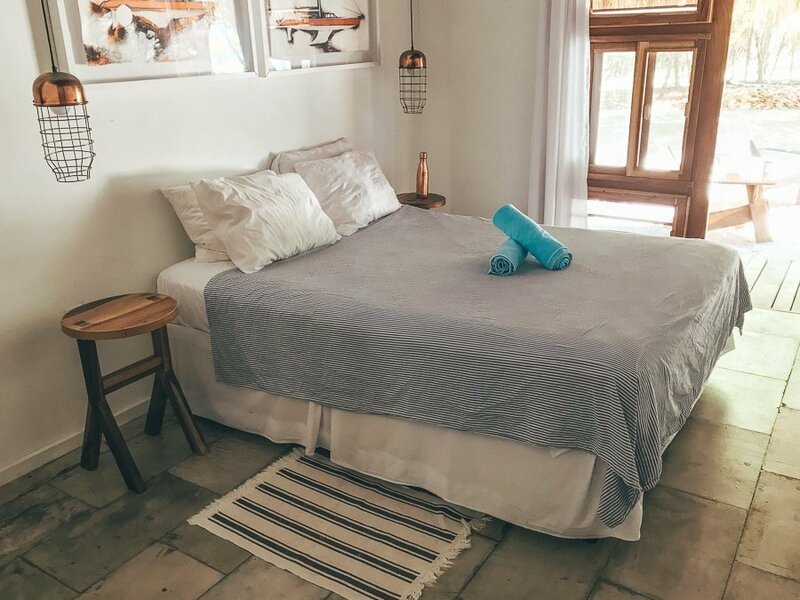 The cabanas are really comfortable and clean, and the bed is the best! 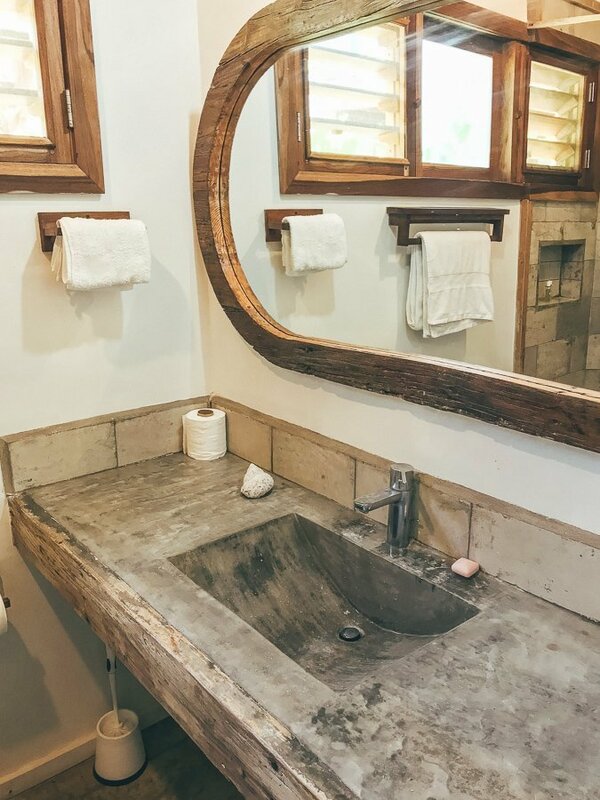 The bathroom is very stylish and the shower has hot water, which is not that common in Honduras. And they have eye for detail, with flowers from the garden, colorful soaps, cute shampoo bottles and wooden furniture. The bungalows cost between 60 and 110 dollar per night, depending on what you like. And because of that, this stay is affordable for everyone. However, it’s good to know that’s a bit expensive to come here by car. A taxi ride costs around 30 to 60 dollar one-way. But you have to believe me if I say that you cannot find a laidback place like this anywhere else on Roatan. You can always have breakfast, lunch and dinner over here. However, they don’t have a menu for breakfast or dinner: they only serve the meal of the day. But the food is delicious and totally worth it. For lunch you can choose from a menu, like pasta, ceviche and more. Are you allergic to some food? You can always tell them, so they can get something else for you. How many days do I recommend at the Camo Bay Lodge? Do you love kitesurfing, yoga, meditation and relaxing? And do you want to combine this with a little paradise that you don’t have to share with many people? Then you have to take a look at the website of the Camp Bay Lodge to find out more about the bungalows. Do you want to read more information about kitesurfing? Check out their kitesurf website! I recommend staying here for at least three nights if you really want to relax. Absolutely, definitely a great stay!